“A record number of women ran for the NC state legislature in the 2018 primaries. In 2014, the last election year without a presidential election, 24 women ran for the state legislature. In 2018, 119 women ran for the state House and Senate; only 43 were incumbents. “ This is according to Robin Davis, VP of Legislation. 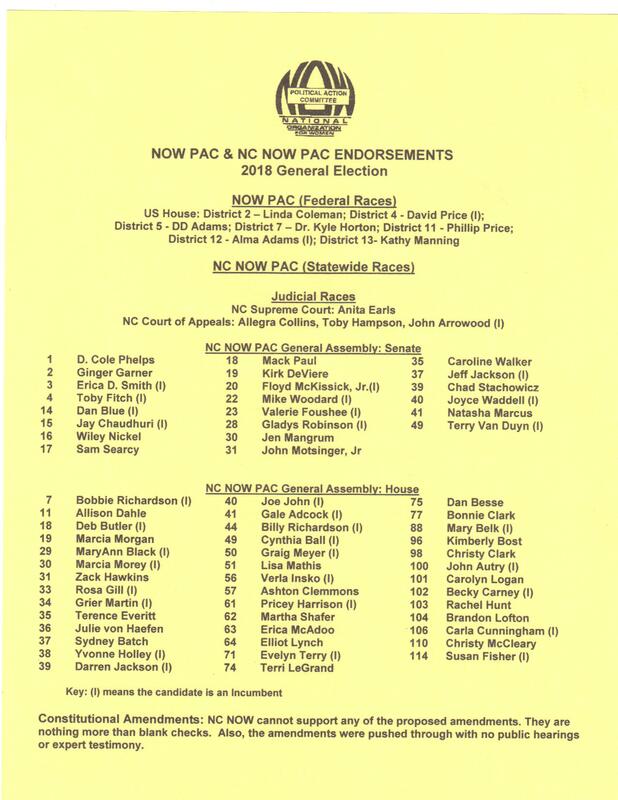 You can print the endorsements out at PAC Endorsements for 2018 General Election v6. Check whether you are registered to vote and still active at https://vt.ncsbe.gov/RegLkup/. You can see polling place for election day, and see the districts on which you get to vote. You can also look at and print out your sample ballot. There are lots of choices this election. NC’s voter look up tool is very power and not protected at all. You can also look up anyone in the whole state – friends, family, co-workers. This entry was posted in endorsements, women and tagged candidates, endorsements, women. Bookmark the permalink.